The Green Heart – Glee’s horticultural hub – has this morning awarded Golden Grove Nursery with the inaugural Best Green Heart Display award. Selected by judges Emma Coupe of Waitrose, and Batsford Arboretum’s Sue Burn, the new award was a hotly contested one, with many stands catching the judge’s eye. However, it was Golden Grove that took home the title in 2018. Golden Grove’s stand was selected for its ease of translation into a retail environment, the quality of the product, and the eye-catching POSand display ideas incorporated. 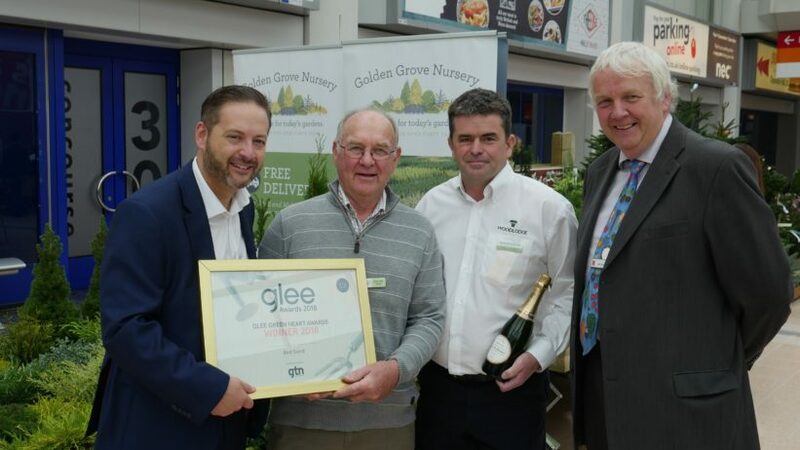 The award was presented to Golden Grove’s Roger Ward, by Glee’s Event Director, Matthew Mein, Richard Newton of Woodlodge -the Green Heart’s official merchandising bench supplier, and Neil Gow, Glee’s Green Heart Special Project Manager. Featuring more international companies than ever before, the Green Heart is home to brands such as The Bransford Webb Plant Company, Javado, Armlee Nurseries, Darby Nurseries, Morley Nurseries, Farplants, Craigmarloch Nurseries Ltd, John Richards Nurseries Ltd, Lovania Nurseries Ltd, Porters Fuchsias, Lowaters Nursery, The Plant Yard, Wyevale Nurseries Limited, Florna Plants, Viking Nurseries, Chamberlain Nurseries, Hawkesmill Nurseries co Ltd, Philip Sonneville, Anglo Aquatic Plant Company, Dataflor, Deforche Export, Helleborous (Wilgenbroek), Herbachef, VDW Plants, Wharton Nurseries, and Worfield Plants – all coming together to create the strongest display of new plant varieties and inspiration for plant buyers and retailers looking to develop both their indoor and outdoor plant offering in the coming season. 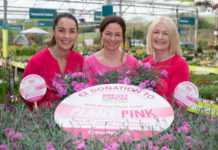 Glee is the UK’s leading garden retail show, focussing on building year-round profits within core product categories including Garden Care, Outdoor Entertaining, Landscaping, and Garden Design, Pet, Home, Gift and Clothing, and Plants. 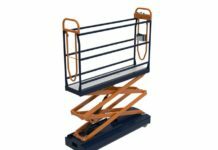 Each year the show attracts thousands of buyers from top retailers, such as leading UK garden centres, builders’ merchants, multiple retailers, and DIY stores. 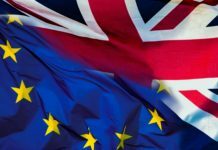 To keep up-to-date on all the latest news log onto www.gleebirmingham.com or call 020 3033 2160 to find out about exhibiting.